Newly crowned Miss Iran 2018 Shirin Heidari is set to make a history in the world of beauty pageants. She will become the first representative of Iran to compete in Miss Universe. Heidari will represent Iran in Miss Universe 2019. It is the 68th edition of the international beauty pageant. Born in Tehran, Iran, Heidari bested nine other candidates in Miss Iran 2018. She speaks Farsi and English fluently. 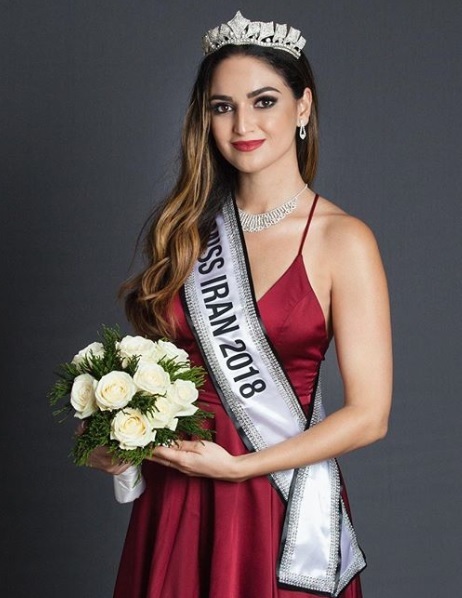 Runner-up to Heidari as Miss Iran 2018 is Paniz Rahnama, who also received the Best in Talent award. Second runner-up Helia Jalilnezhad won the People’s Choice award and the Miss Teen Iran 2018 title while third runner-up Hoda Nick earned the Most Beautiful Face award. Heidari graduated from University of Auckland in New Zealand with a bachelor’s degree in Architecture and Engineering. Currently, she resides in Sydney, Australia where she is working as a software engineer. The reigning Miss Iran enjoys dancing, yoga, fashion modelling, going to the gym and reading books, according to the Miss Iran website. She is also into sports including badminton, basketball, gymnastics and swimming. For Heidari, the Miss Iran beauty pageant is a great avenue for Iranian women to have a better understanding of their rights. This will strengthen them, which in turn will strengthen the people around them. The Miss Iran 2018 titleholder believes that with stronger Iranian women, the next generation of Iranians will also be stronger. She would like to support Iranian women and help them grow and freely achieve their life goals in society. Including Heidari, 10 candidates have been confirmed to join Miss Universe 2019 so far. Among her fellow candidates are Kamila Kozhakhanova, 19, of Kazakhstan, Tako Adami, 24, of Georgia, Rosie Zhu Xin, 25, of China, Hoàng Thùy, 27, of Vietnam, Elena Castro Suarez, 19, of Belgium, Anyella Grados, 19, of Peru, Milena Sadowska, 19, of Poland and Marie Esther Bangura, 22, of Sierra Leone. Miss Universe 2019 is reportedly taking place in South Korea. Like Iran, North Korea is also said to be competing for the first time.